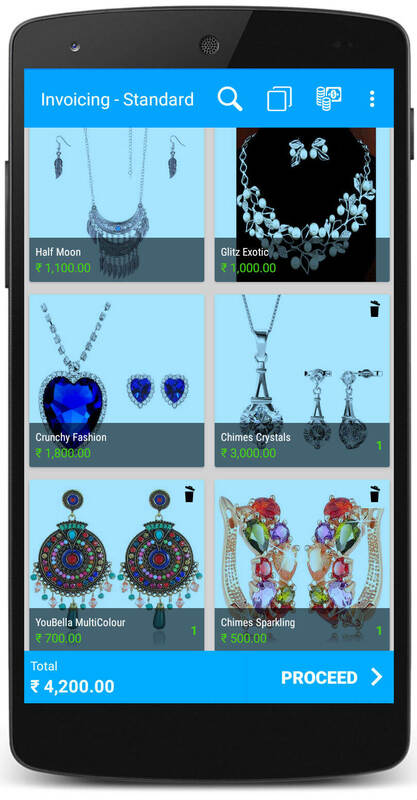 Cloud-based multi-channel fashion store software for fashion, lifestyle and garments to manage billing, customers, loyalty, inventory with ease. When we go to a fashion store, we like some product but don’t get our size and ask an employee for the size. He/She check manually for sometime and then inform the status of availability. Everyone experience this kind of situation at-least once in life. Maintaining a garments store is little complicated because there will be different colours and sizes for each product. These make maintaining inventory little confusing and problematic. Just Billing fashion store software has a product matrix feature, allows to record different sizes and colours for every product. This will make the billing process and inventory management easy. Just billing can download in computer/laptop/phone/tablet according to your convenience. It’s very user-friendly and simple to use. No need of any technical knowledge, just basics of using system/phone. If you are having an E-commerce website, can directly integrate to Just billing fashion store software. So that billing of both online and offline can be done in one place. Even there will be no confusion of inventory management because it will auto-update when the sale happens in online or in-store. In a fashion store, there will be a lot of categories according to age, gender, preferences etc. All the products need to categorize properly and map to the respective segment. This helps to navigate easily while billing process. You can give multiple prices to each product like standard price, seasonal price, special offer price, loyal customers price etc. You can directly choose pricing option in billing screen. Did you create the best offers? Great. But did you made efforts to let anyone know about it? Send your promotional offers via SMS/mail to customers. One product, different sizes, and colours. It takes a lot of time to create the product for each size and colour. So, here comes the product matrix. Create a product, map all the sizes and colours to it. So When you click on a product, It shows the available sizes and colours. Just Billing makes home delivery very easy. When there is an online order or a customer wants to deliver products at the doorstep. You just need to select a delivery person, map the products need to deliver and to collect any pending amount. It’s very common for returning sold goods due to various reasons. But a lot of things need to get adjusted when a product returned. When a return process is approved and recorded in Just Billing fashion store POS software, it automatically updates the inventory, makes payment, accounting, tax adjustments accordingly. It is always so curious to know how much sales we did on that day. When you don’t have proper mechanism it hard to know as manual calculations take a lot of time. Just Billing fashion store billing software track all the transactions in real time and can give you end of the day sales report with just one click. Download and follow simple steps to setup Just Billing fashion store software.